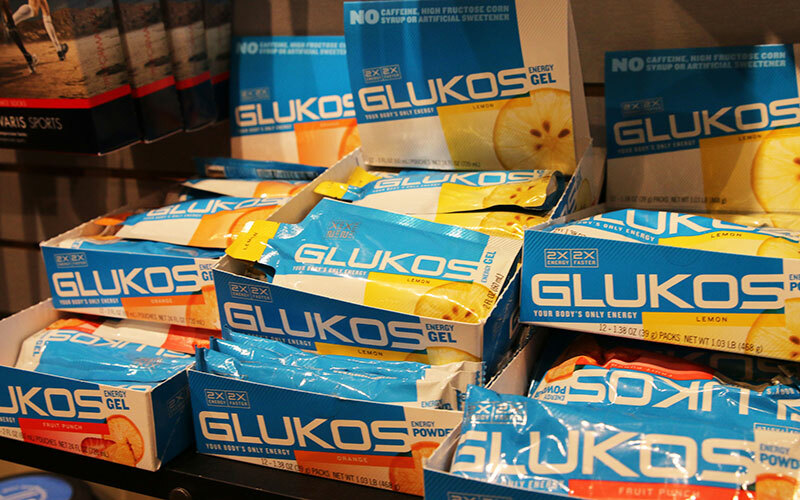 Scottsdale-based Glukos Energy’s products are based on a simple approach to fueling athletes. Glukos products combine only glucose and electrolytes, for more potassium with less sodium. 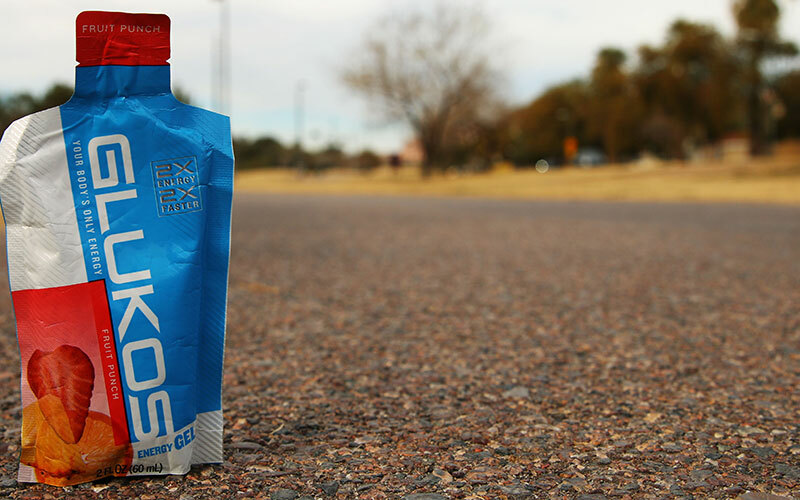 A small Scottsdale company quickly is elbowing its way into the burgeoning sports nutrition market dominated by giants such as Gatorade and PowerBar. Glukos Energy’s products are based on a simple approach to fueling athletes, and the company is counting on a new deal with the Rock ‘n’ Roll Marathon series to serve as a catalyst for growth. Glukos provided energy gel packets and gummies to runners at the recent Rock ‘n’ Roll Arizona Marathon, the first of 23 North American events this year in the Rock ‘n’ Roll series. Glukos has agreed to a multiyear agreement to provide on-course nutrition for all of the races in the series. The company, which began shipping products in 2015, also markets tablets, bars and powders aimed at endurance athletes. CEO Mick McCormick told Cronkite News that a protein product is coming soon and bottled sports drinks are planned for 2017. Mark Jensen, a former Nike product manager, developed the formula for Glukos in 2003 after asking some of Nike’s elite athletes what they wanted when training and racing. The answer was a simple combination of the carbohydrate glucose along with electrolytes, including more potassium but less sodium. That is the basis of Glukos products, which do not include other sugars common in sports drinks and gels, such as fructose and sucrose. McCormick said that with the company’s combination of natural ingredients, Glukos tastes good and provides what an athlete’s body needs to perform. However, Dr. Siddhartha Angadi, a professor at Arizona State University’s School of Nutrition and Health Promotion, said research indicates glucose alone might not be enough for optimal performance. “When you compare performance, especially in ultra-endurance events lasting beyond three hours or so, glucose versus a glucose-plus-fructose combination, the glucose-plus-fructose combination actually ends up doing better,” he said. Angadi said a combination of carbohydrates is absorbed by the small intestine more quickly than glucose alone. There appears to be plenty of room in the marketplace for different formulas. According to a December study by Euromonitor International, a global market consumer research company that tracks sports nutrition sales, the industry grew by 11 percent last year to $6.7 billion in U.S. sales. Euromonitor concluded in another study that there is “a massive opportunity” in the sports nutrition business. Glukos is trying to grab a little piece of it, and was already selling products at 900 locations nationwide by the end of 2015, according to McCormick. He said he hopes to expand that number to 5,000 locations by the end of this year. Mark Cosmas, owner of iRun, a specialty running store in Phoenix’s Arcadia district, has been selling and recommending Glukos to customers for about a year. Runner James Fowler used Glukos for the first time at the Rock ’n’ Roll Arizona Marathon, and liked it enough to try it again a week later during the Coldwater Rumble 100-mile ultra-marathon near Goodyear.